Imagine yourself in a master bathroom with his and her sinks, a large wardrobe with dressers inside, and a walk-in shower with a seat after sleeping on a pillowtop mattress in the walk-through bedroom. 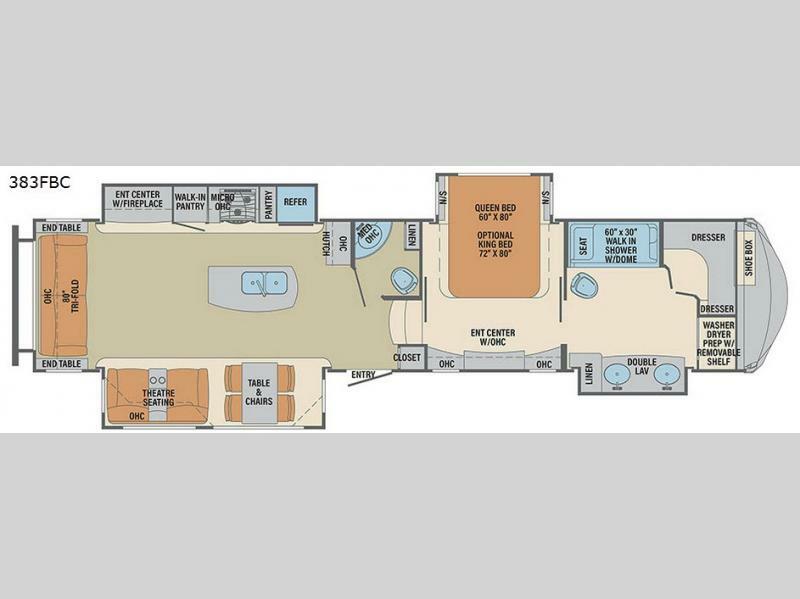 You don't have to leave any comforts of home behind when traveling in this Columbus Compass 383FBC fifth wheel. There is even a half bath across from the entry for your guests. You can prepare and serve meals in the kitchen on the island or hutch. There is plenty of seating for entertaining as well as a fireplace to keep everyone cozy on chilly nights. So if you enjoy the great outdoors or shopping while away from home, this Columbus will provide your own luxurious bedding and bathroom, plus kitchen amenities anywhere you go. With any Columbus Compass fifth wheel by Palomino you can enjoy the finer things while exploring the countryside. 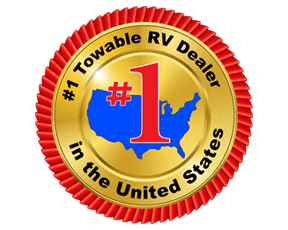 Comfortable towing is provided by the E-Z Flex Dexter axles and E-Z Lube axles with Nev-R-Adjust brakes. You will appreciate the large double bowl undermount sink in the kitchen for easy clean up, the residential microwave for reheating leftovers, and the many upgraded features you will find in each model. 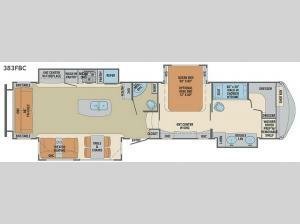 Come see why owning a Columbus Compass fifth wheel is the correct choice for you!